Summary: In 1947, the governments of the United States, the United Kingdom, Canada, Australia, and New Zealand signed a secret treaty in which they agreed to cooperate in matters of signals intelligence. In effect, the governments agreed to pool their geographic and technological assets in order to listen in on the electronic communications of China, the Soviet Union, and other Cold War bad guys--all in the interest of truth, justice, and the American Way, naturally. The thing is, the system apparently catches everything. Government security services, led by the U.S. National Security Agency, screen a large part (and perhaps all) of the voice and data traffic that flows over the global communications network. Fifty years later, the European Union is investigating possible violations of its citizens' privacy rights by the NSA, and the Electronic Privacy Information Center, a public advocacy group, has filed suit against the NSA, alleging that the organization has illegally spied on U.S. citizens. Being a super-secret spy agency and all, it's tough to get a handle on what's really going on at the NSA. However, James Bamford has done great work in documenting the agency's origins and Cold War exploits in "The Puzzle Palace". Beginning with the earliest days of cryptography (code-making and code-breaking are large parts of the NSA's mission), Bamford explains how the agency's predecessors helped win World War II by breaking the German Enigma machine and defeating the Japanese Purple cipher. 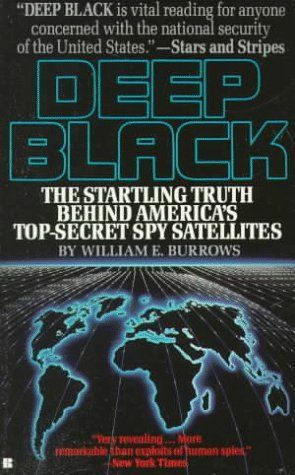 He also documents signals intelligence technology, ranging from the usual collection of spy satellites to a great big antenna in the West Virginia woods that listened to radio signals as they bounced back from the surface of the moon. 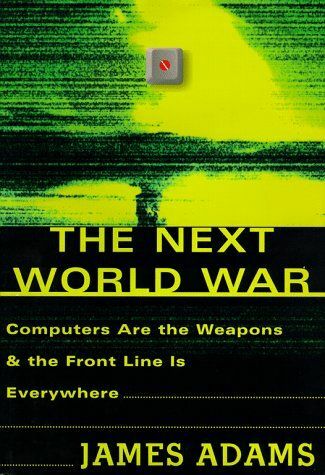 Bamford backs his serious historical and technical material (this is a carefully researched work of nonfiction) with warnings about how easily the NSA's technology could work against the democracies of the world. Bamford quotes U.S. Senator Frank Church: "If this government ever became a tyranny ... the technological capacity that the intelligence community has given the government could enable it to impose total tyranny, and there would be no way to fight back, because the most careful effort to combine together in resistance to the government ... is within the reach of the government to know." This is scary stuff. " --David Wall"
Summary: This book tries to give the basics of the intelligence organization of the western countries, the USA, UK and France. It comes off as a very high level, average and uninspiring work. There is just nothing new here and I wondered if maybe this was not written for an age group of under 15. I was surprised because I had heard good things about his other work. This is a rather dull book and I would suggest looking elsewhere. Summary: They are on the cutting edge of technology--the top-secret, billion-dollar instruments of super-power espionage. They are spy satellites--the means by which the super-pwers keep tabs on each other in the deep black of space. "Excellent . . . Highly recommended!"--Booklist. HC: Villard. 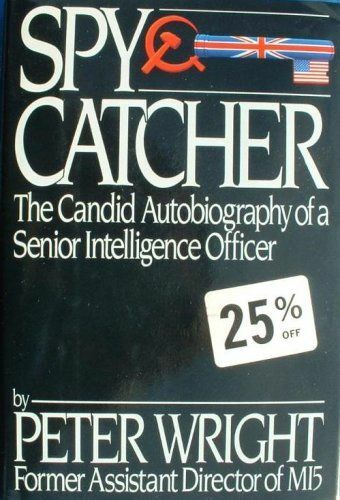 Summary: Reading "Spycatcher", I was continually struck by this thought: how was it possible for Peter Wright to publish a book which exposes so much of the internal operations of Britain's MI5 domestic intelligence/security service? He names names, describes personalities in often unflattering terms, and details what were surely the most sensitive of investigations undertaken by MI5. What may be MI5's loss is the public's gain, as we get a rare glimpse at the very heart of a (by definition) highly secretive agency, charged with ensuring the security and continuance of one of the Western world's greatest democracies. Wright is undoubtedly a brilliant man, as are his colleagues (Wright describes how one of them does crossword puzzles completely in his head). Although the book opens with his retirement day, in which he shreds his diaries, he is somehow able to reconstruct the minutest details of operations that span his 20-year career with MI5, from the mid-50s to mid-70s, as well as critical pre-World War II events that he investigated for MI5. Wright is a radio engineer by training and original profession, and he joins MI5 as their first scientist in order to bring the benefits of technology to the agency. As MI5's top scientist, he is immediately charged with carrying out their most sensitive bugging and eavesdropping operations, which indoctrinates him into MI5's most secretive activities. Eventually, he leaves scientific advocacy behind to assume a role hunting down suspected Soviet spies within MI5 itself. Although Wright has many successes, he is never able to fully prove his most shocking assertion, which is that Roger Hollis, the head of MI5 for many years (and Wright's superior), was a Soviet spy. The circumstantial evidence Wright presents, however, is very convincing. Wright's analysis and the logic he applies are impressive because he not only looks at the various events themselves, but he constantly considers how events would have unfolded differently if his thesis were untrue. "Spycatcher" is a fascinating book, for many reasons. First of all, it takes the reader deeper within an actual government intelligence agency than almost any spy novel, and it has the added benefit of being true. The case against Hollis, and other spies exposed by Wright and his compatriots at MI5, serves as a warning about the fragility of security agencies: a few well-placed enemy spies can destroy massive amounts of work. Many of these top-level spies recruited by the Soviets were left-wing students at Britain's finest universities (Oxford and Cambridge), which shows how ideology expressed in an academic environment can lead to radical behavior and revolutionary actions. However, spying on potential domestic subversives is not a pleasant task, as Wright himself admits. "Spycatcher" also shows the special relationship between the U.S. and the U.K., which is not without its tensions. Finally, "Spycatcher" illustrates the need to fight back using many of the tactics of the enemy, however despicable they may be. Intelligence work is not pretty: it involves tapping communications, breaking and entering, planting agents, soliciting defectors (using whatever might best appeal to them), and trying to detect and eliminate the enemy's spies before they do the same to yours. And in the end, the intelligence information received may be completely wrong, either because of the motives of the agents who provided it (who may be double agents), or because it is the product of an enemy disinformation campaign. However, if the U.K. and U.S. had not played the spy game against the Soviets, they would have put the countries at serious risk. Winning the intelligence game is not easy, but this was definitely an important front during the Cold War in Wright's day, and the war on terror today. The Soviets had an active disinformation campaign during the Cold War; in fact, one of the more spectacular assertions of Wright's is that the Cuban missile crisis was a Soviet disinformation exercise to distract attention from their long-range missile development programs. As "Spycatcher" proves, the intelligence game is like a hall or mirrors - you're never sure if you're seeing something real or something which is exactly backwards. But, it is still important to attempt to play the game as best as one can. Summary: Has the computer chip changed the nature of warfare? Will it eventually change war beyond current recognition? Adams, the former defense correspondent and Washington bureau chief for the "London Sunday Times", believes that information will become the ultimate weapon and that future battlegrounds will be everywhere we live and work. 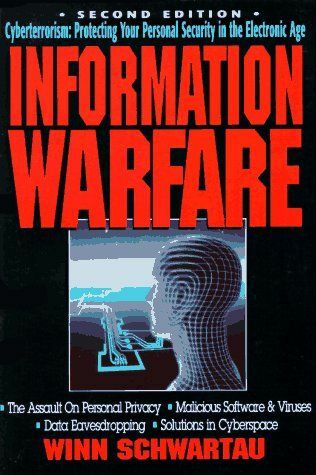 While the weapons and technology of war will improve beyond even technofiction's expectations, it's the "information warfare" that will be critical in foreign wars and in the war against domestic crime. Adams's research and journalism experience has made him aware of how much information warfare is being planned for and how much is already in place. His concern, in part, is that there has been little public debate about this, even though it affects our future so dramatically. Adams says "As David proved against Goliath, strength can be beaten. America today looks uncomfortably like Goliath, arrogant in its power, armed to the teeth, ignorant of its weakness." "--Elizabeth Lewis"
My Comments: Astonishingly good! Great subject. Summary: An expert on electronic privacy shows how "information warriors" are able to gain access to and use computerized data on ordinary individuals, and the threat such use poses to citizens and to national security. Original. Tour. "IP. " My Comments: Somewhat eclectic collection of Schwartau's work and others. Poorly edited. Schwartau is not a very good author, but he covers some very important aspects of this increasingly important subject. Summary: Little is known--and less has been published--about American submarine espionage during the Cold War. These submerged sentinels silently monitored the Soviet Union's harbors, shadowed its subs, watched its missile tests, eavesdropped on its conversations, and even retrieved top-secret debris from the bottom of the sea. In an engaging mix of first-rate journalism and historical narrative, Sherry Sontag, Christopher Drew, and Annette Lawrence Drew describe what went on. "Most of the stories in "Blind Man's Bluff" have never been told publicly," they write, "and none have ever been told in this level of detail." Among their revelations is the most complete accounting to date of the 1968 disappearance of the "U.S.S. Scorpion"; the story of how the Navy located a live hydrogen bomb lost by the Air Force; and a plot by the CIA and Howard Hughes to steal a Soviet sub. The most interesting chapter reveals how an American sub secretly tapped Soviet communications cables beneath the waves. 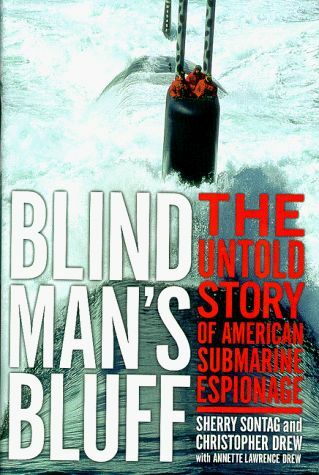 "Blind Man's Bluff" is a compelling book about the courage, ingenuity, and patriotism of America's underwater spies. " --John J. Miller"
My Comments: The untold story of american submarine espionage. 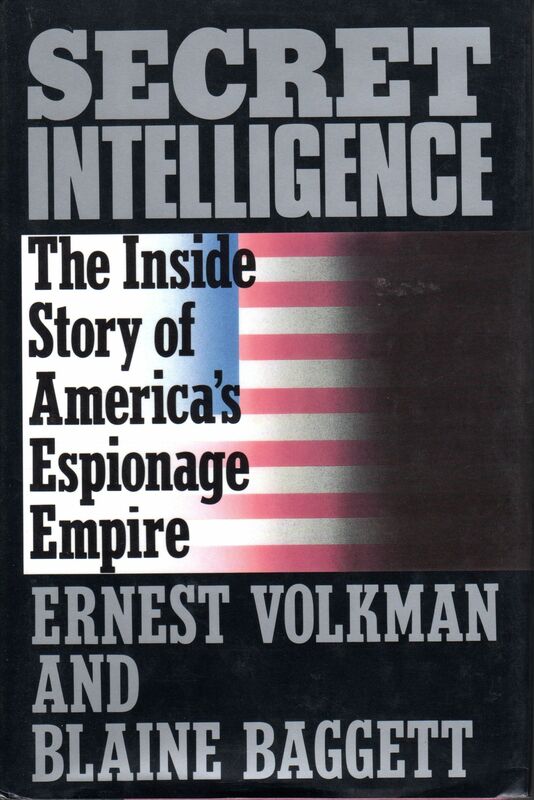 Summary: Everybody knows about the CIA--the cloak-and-dagger branch of the U.S. government. Many fewer are familiar with the National Security Agency, even though it has been more important to American espionage in recent years than its better-known counterpart. The NSA is responsible for much of the intelligence gathering done via technology such as satellites and the Internet. Its home office in Maryland "contains what is probably the largest body of secrets ever created." 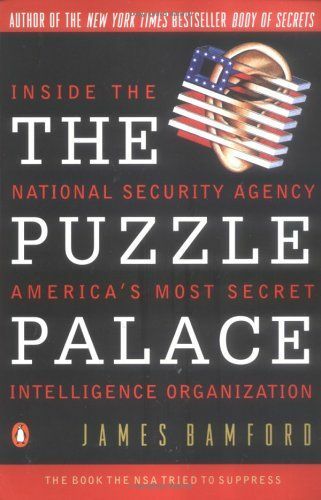 Little was known about the agency's confidential culture until veteran journalist James Bamford blew the lid off in 1982 with his bestseller "The Puzzle Palace". Still, much remained in the shadows. 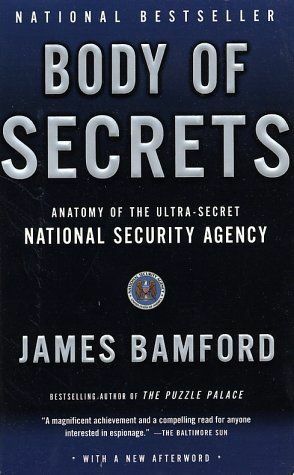 In "Body of Secrets", Bamford throws much more light on his subject--and he reveals loads of shocking information. The story of the U-2 crisis in 1960 is well known, including President Eisenhower's decision to tell a fib to the public in order to protect a national-security secret. Bamford takes the story a disturbing step forward, showing how Eisenhower "went so far as to order his Cabinet officers to hide his involvement in the scandal even while under oath. At least one Cabinet member directly lied to the committee, a fact known to Eisenhower." Even more worrisome is another revelation, from the Kennedy years: "The Joint Chiefs of Staff drew up and approved plans for what may be the most corrupt plan ever created by the U.S. government. In the name of anticommunism, they proposed launching a secret and bloody war of terrorism against their own country in order to trick the American public into supporting an ill-conceived war they intended to launch against Cuba." "Body of Secrets" is an incredible piece of journalism, and it paints a deeply troubling portrait of an agency about which the public knows next to nothing. Fans of "The Sword and the Shield" will want to read it, as will anybody who is intrigued by conspiracies and real-life spy stories. " --John J. Miller"
My Comments: Anatomy of the Ultra-Secret National Security Agency. From the Cold War through the Dawn of a New Century. Summary: Journalist Mark Bowden delivers a strikingly detailed account of the 1993 nightmare operation in Mogadishu that left 18 American soldiers dead and many more wounded. This early foreign-policy disaster for the Clinton administration led to the resignation of Secretary of Defense Les Aspin and a total troop withdrawal from Somalia. Bowden does not spend much time considering the context; instead he provides a moment-by-moment chronicle of what happened in the air and on the ground. His gritty narrative tells of how Rangers and elite Delta Force troops embarked on a mission to capture a pair of high-ranking deputies to warlord Mohamed Farrah Aidid only to find themselves surrounded in a hostile African city. Their high-tech MH-60 Black Hawk helicopters had been shot down and a number of other miscues left them trapped through the night. Bowden describes Mogadishu as a place of Mad Max-like anarchy--implying strongly that there was never any peace for the supposed peacekeepers to keep. He makes full use of the defense bureaucracy's extensive paper trail--which includes official reports, investigations, and even radio transcripts--to describe the combat with great accuracy, right down to the actual dialogue. 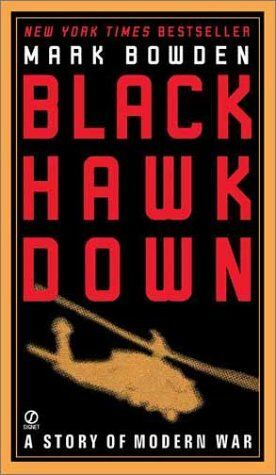 He supplements this with hundreds of his own interviews, turning "Black Hawk Down" into a completely authentic nonfiction novel, a lively page-turner that will make readers feel like they're standing beside the embattled troops. This will quickly be realized as a modern military classic. " --John J. Miller"
My Comments: This is the true story of what happened in Mogadishu, Somalia. One word best describes this book. Carnage! A breathtaking account of the unexpected intensity of a modern conflict. Summary: Jeff Shaara dazzled readers with his bestselling novels "Gods" "and Generals," "The Last Full Measure", and "Gone for Soldiers". Now the acclaimed author who illuminated the Civil War and the Mexican-American War brilliantly brings to life the American Revolution, creating a superb saga of the men who helped to forge the destiny of a nation. In 1770, the fuse of revolution is lit by a fateful command—“Fire!”—as England’s peacekeeping mission ignites into the Boston Massacre. The senseless killing of civilians leads to a tumultuous trial in which lawyer John Adams must defend the very enemy who has assaulted and abused the laws he holds sacred. The taut courtroom drama soon broadens into a stunning epic of war as King George III leads a reckless and corrupt government in London toward the escalating abuse of his colonies. Outraged by the increasing loss of their liberties, an extraordinary gathering of America’s most inspiring characters confronts the British presence with the ideals that will change history. John Adams, the idealistic attorney devoted to the law, who rises to greatness by the power of his words . . . Ben Franklin, one of the most celebrated men of his time, the elderly and audacious inventor and philosopher who endures firsthand the hostile prejudice of the British government . . . Thomas Gage, the British general given the impossible task of crushing a colonial rebellion without starting an all-out war . . . George Washington, the dashing Virginian whose battle experience in the French and Indian War brings him the recognition that elevates him to command of a colonial army . . . and many other immortal names from the Founding Family of the colonial struggle—Abigail Adams, Thomas Jefferson, Joseph Warren, Samuel Adams, Richard Henry Lee— captured as never before in their full flesh-and-blood humanity. More than a powerful portrait of the people and purpose of the revolution, "Rise to Rebellion" is a vivid account of history’s most pivotal events. 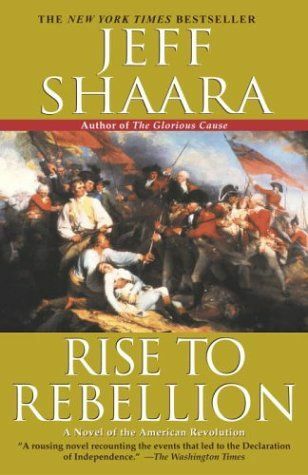 The Boston Tea Party, the battles of Concord and Bunker Hill—all are recreated with the kind of breathtaking detail only a master like Jeff Shaara can muster. His most impressive achievement, "Rise to Rebellion" reveals with new immediacy how philosophers became fighters, ideas their ammunition, and how a scattered group of colonies became the United States of America. My Comments: Fantastic book. I guess that's why it made the New York Times bestseller list. Learning about the American Revolution in high-school was down right painful. This book was a joy to read. Even though I knew the ending, it was the characters that brought this book alive. Ends at a beginning, and hints of a sequel. Summary: While young adults in Europe & Asia braced for war, Wisconsinites attended Packer games, lined up for the latest Hollywood release, and strolled their local auto dealerships dreaming of the day they could buy their first car. Few if any expected the turmoil taking place a half-world away to affect their future plans. They were wrong. 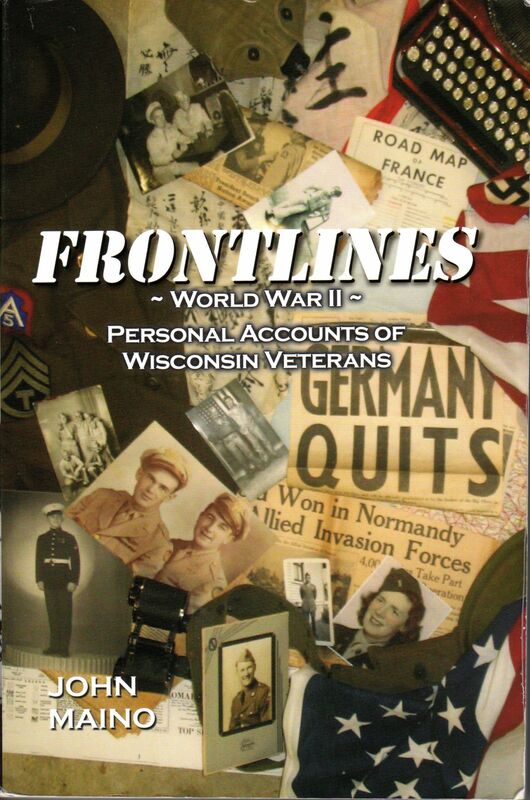 Frontlines tells their story; from leaving home through the tragic and gruesome reality of war, the sweet feeling of coming home and the often haunting memories which linger to this day. My Comments: A gift from my in-laws. I served 20 years in the military (U.S. Air Force), and I'm interested in historical accounts of World War II . This book was written by a local (to Wisconsin) radio/television personality. Some of the tales actually touched on the experiences of a personal relative. One John (aka Jack) Vaessen (Not sure exactly sure how he's related, but I've no doubt that he's most likely related) was trapped in the capsized USS Utah when it capsized after the Japanese attack on Pearl Harbor, Hawaii. Firman's accounting of that day includes some recollection on the capsized ships, and the search for survivors in those ships. The book was great, I'm glad I received it as a gift, and I would certainly read his companion/follow-up book.